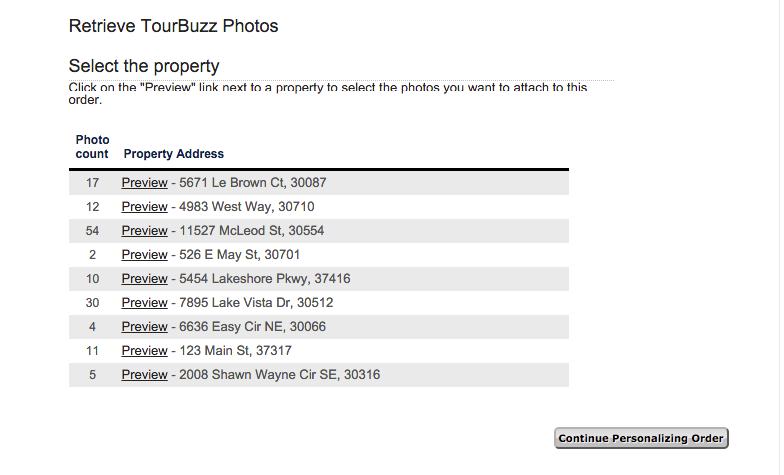 For customers that use main Xpressdocs web site, they will see a Tourbuzz tab in the Photo Gallery/Retrieve From...section. Click on Tourbuzz and it will fetch all tours from Tourbuzz for them to pull images from the Tourbuzz system! Please note that for this to work correctly your customer must enter the email address on file in their Tourbuzz customer record. If you have a customer that uses a custom Xpressdocs site, you can ask them to enable the Tourbuzz import tab for that custom site by emailing the request to info@xpressdocs.com. Just provide the customer name and tell them you want to enable the Tourbuzz import tab. Unfortunately, there's no way for us to customize the name "Tourbuzz" to match your company's brand. 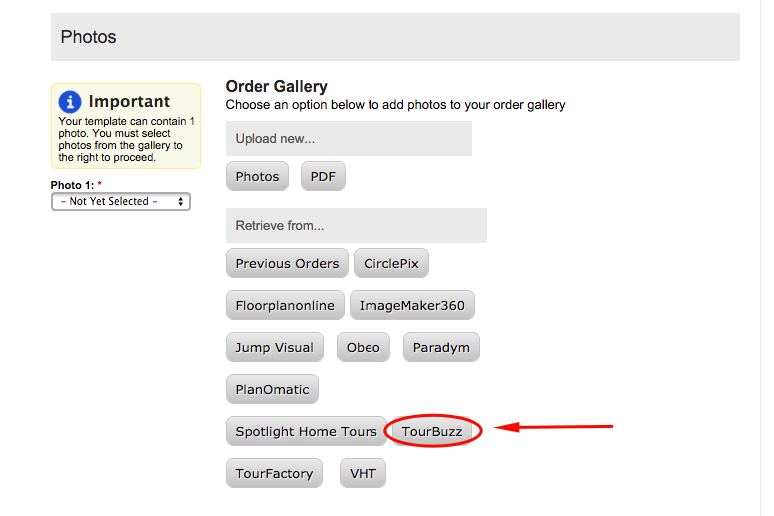 On your order page, select Tourbuzz from your list of options. 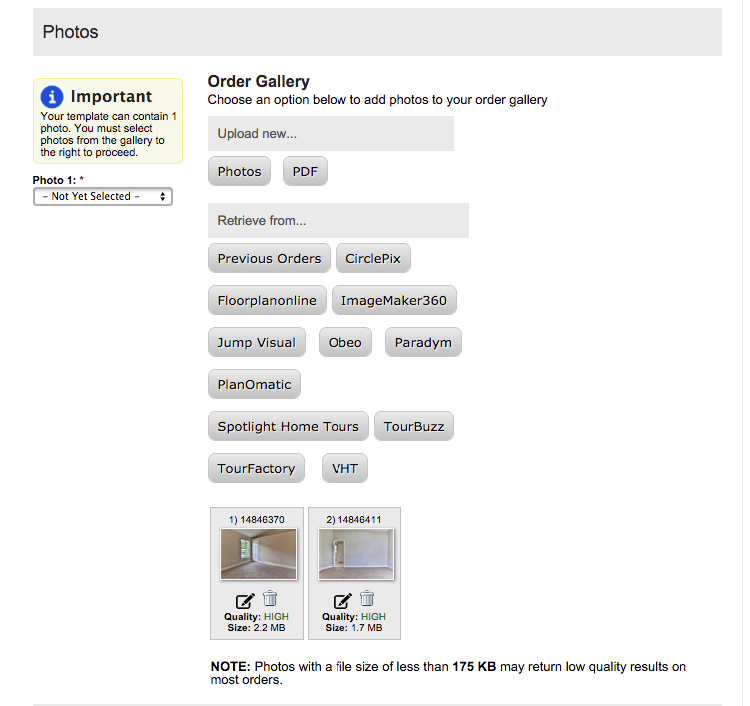 Once you have selected your template and are on the Customize Your Order page, scroll to the Photos section. Here you will see the option to retrieve from Tourbuzz. Click on the Tourbuzz button. As long as your email address in Xpressdocs matches your email address associated with your Tourbuzz account, you will be brought to your list of properties. *If the email addresses do not match, you will be prompted to enter in your Tourbuzz email address and click Retrieve TourBuzz Photos. 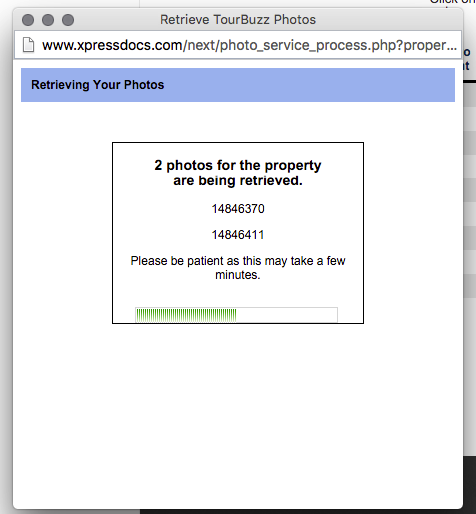 Click Preview next to the property address you wish to retrieve images from. From here, check the box for each image you would like to retrieve, then scroll to the bottom and click Retrieve Photos. Another window will pop-up letting you know the images are being retrieved. Once the status shows as successful, close this window and click Continue Personalizing Order. You will now see your selected images in the Photos section. 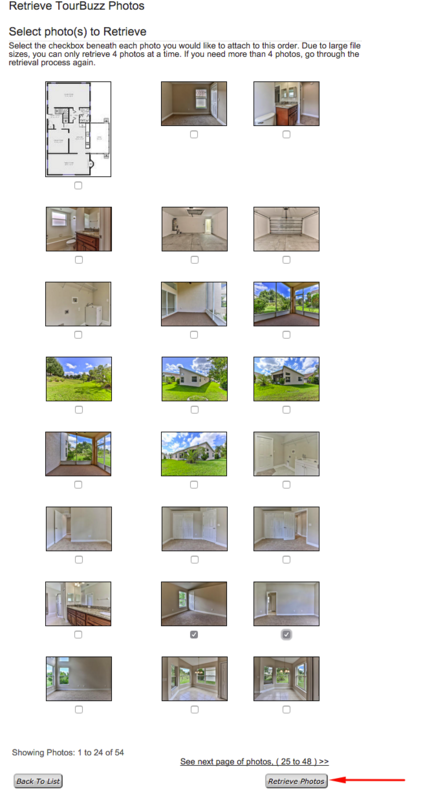 On the left, you will now be able to select which photo(s) to use.